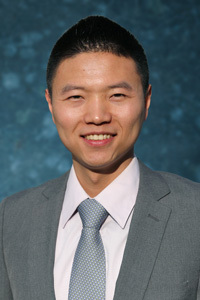 Dr. Zhou received his Ph.D from the Electrical Engineering and Computer Science Department at the Massachusetts Institute of Technology in 2018. He received his M.Phil from the Information Engineering Department at the Chinese University of Hong Kong in 2012, and B.Eng from the Biomedical Engineering Department at the Shanghai Jiao Tong University in 2010. He received the prestigious Facebook Fellowship, Microsoft Research Asia Fellowship, MIT Greater China Fellowship, as well as the MIT Ho-Ching and Han-Ching Fund Award and CUHK Outstanding Thesis Award. His research on interpreting deep networks was featured in media outlets such as TechCrunch, Quartz, and MIT News. He organized tutorials on deep learning for visual recognition and interpretable machine learning at CVPR'17 and CVPR'18 respectively, and co-organized workshops at ICCV'17, ECCV'16, and ICCV'15. B. Zhou, D. Bau, A. Oliva, A. Torralba. "Interpreting Deep Visual Representations via Network Dissection." IEEE transaction on Pattern Analysis and Machine Intelligence (TPAMI), 2018. B. Zhou, A. Andonian, A. Oliva, A. Torralba. "Temporal Relational Reasoning in Videos." European Conference on Computer Vision (ECCV), 2018. B. Zhou, A. Lapedriza, A. Khosla, A. Oliva, and A. Torralba. "Places: A 10 million Image Database for Scene Recognition." IEEE transaction on Pattern Analysis and Machine Intelligence (TPAMI), 2017. B. Zhou, H. Zhao, X. Puig, S. Fidler, A. Barriuso and A. Torralba. "Scene Parsing through ADE20K Dataset." Computer Vision and Pattern Recognition (CVPR’17), 2017. B. Zhou, A. Khosla, A. Lapedriza, A. Oliva, and A. Torralba. "Learning Deep Features for Discriminative Localization." Computer Vision and Pattern Recognition (CVPR’16), 2017. B. Zhou, X. Tang, H. Zhang and X. Wang. "Measuring Crowd Collectiveness." IEEE transaction on Pattern Analysis and Machine Intelligence (TPAMI), 2014. B. Zhou, X. Tang and X. Wang. "Learning Collective Crowd Behaviors with Dynamic PedestrianAgents." International Journal of Computer Vision (IJCV), 2014.